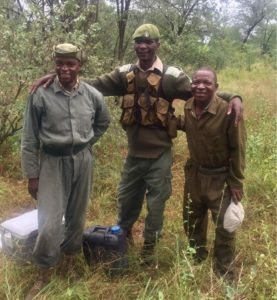 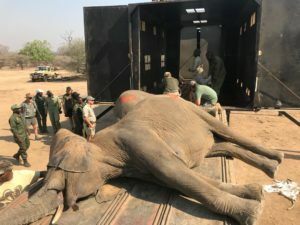 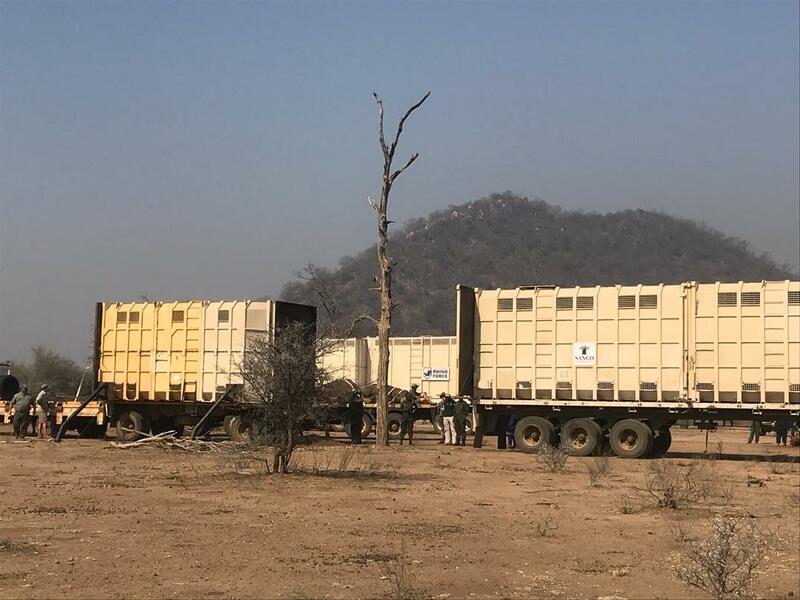 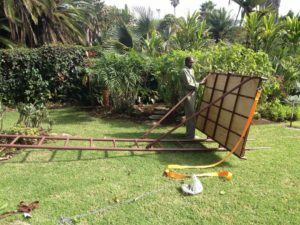 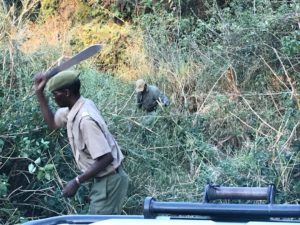 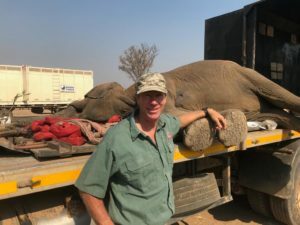 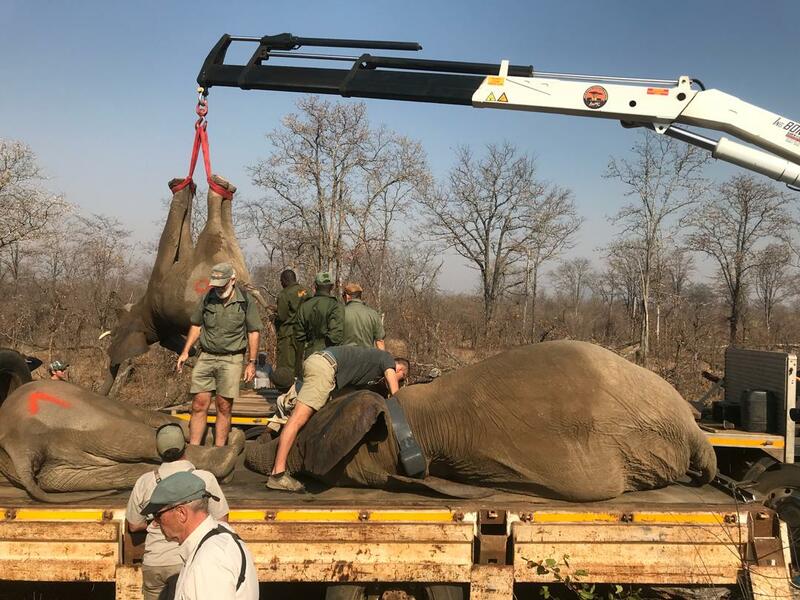 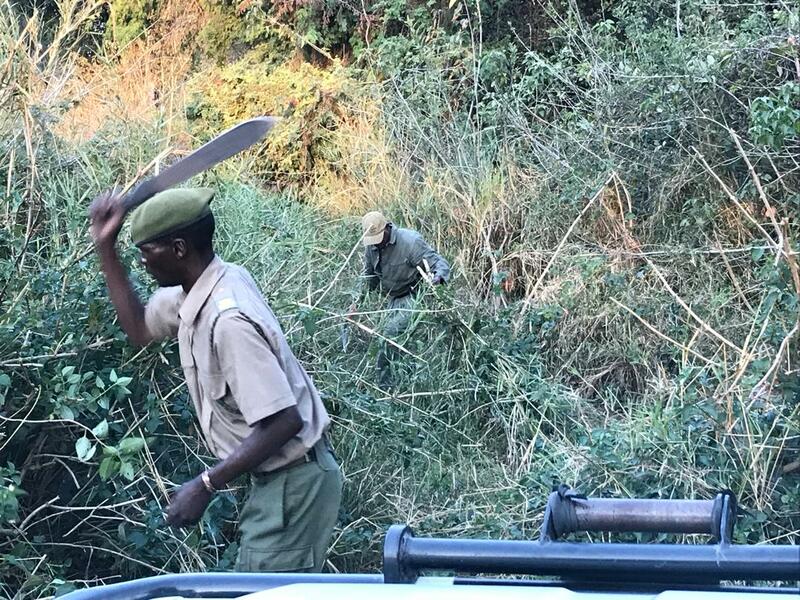 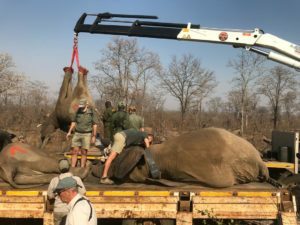 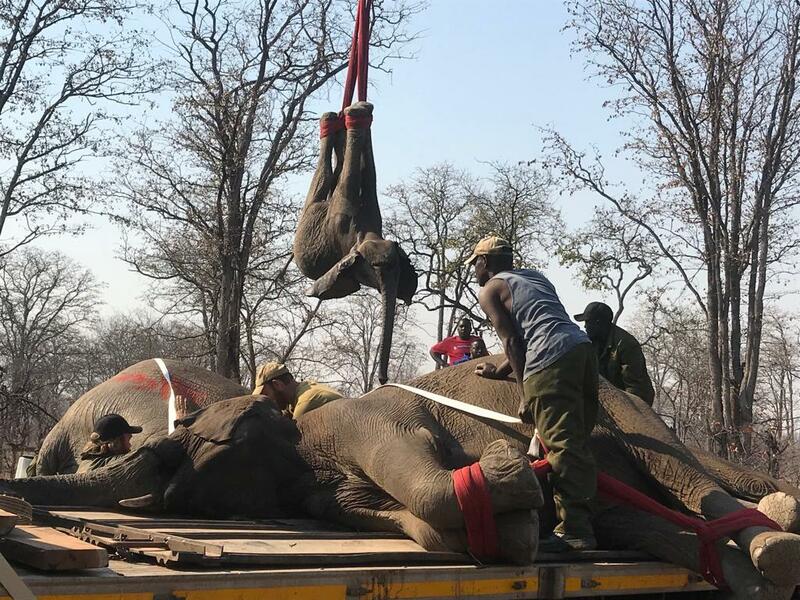 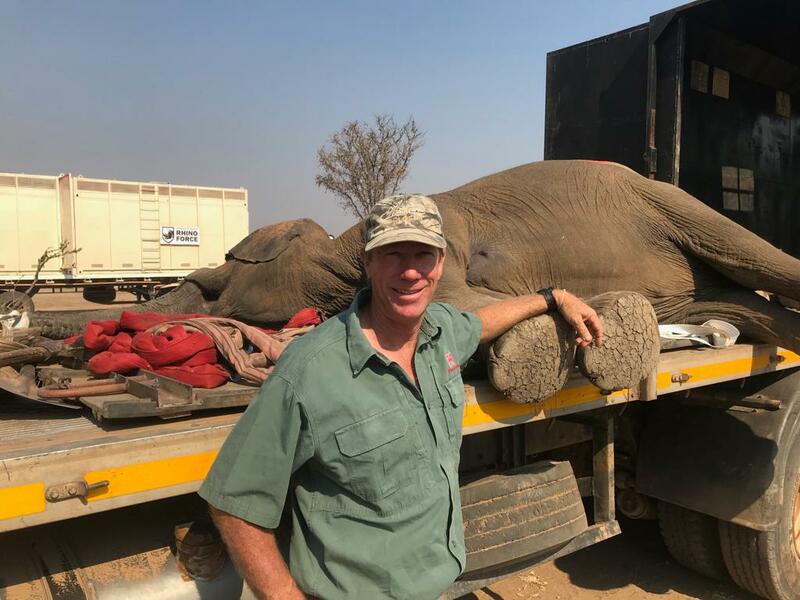 During my current hunt in the Save Valley Conservancy in South-Eastern Zimbabwe, I was privileged to watch the start of an elephant translocation project to capture and move 100 elephants to the Zambezi Valley from SVC. 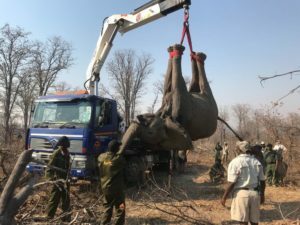 What a slick operation to witness! Profesionals, from the helicopter political to the vet darting, and the whole capture team…so well done! 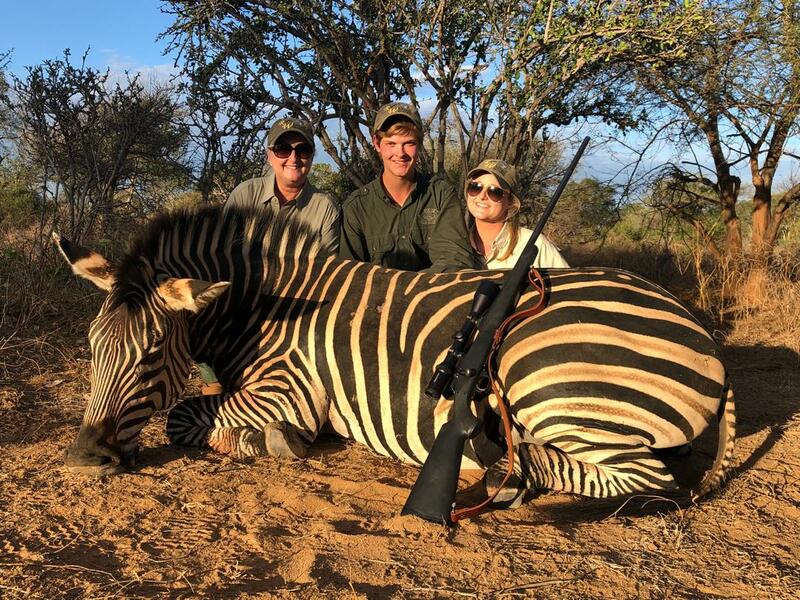 What a shining example of hunters’ dollars going into conservation. 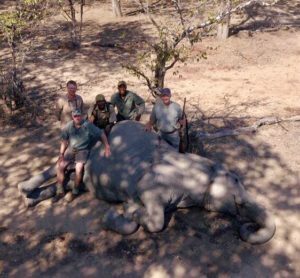 These elephants would have all had to be culled if it were not for the support of the hunting community. 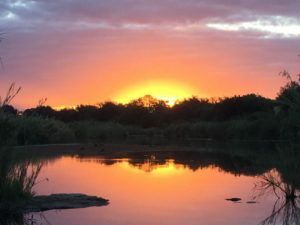 Thank you, one and all! 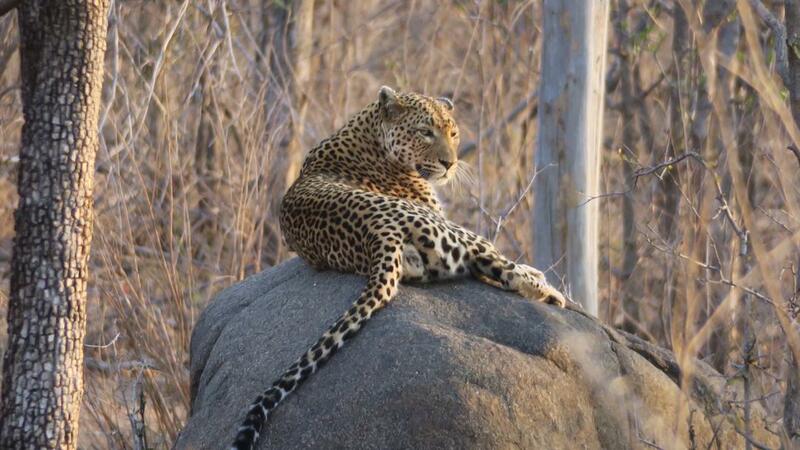 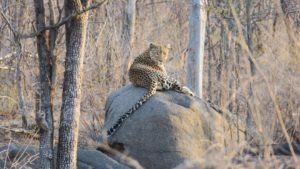 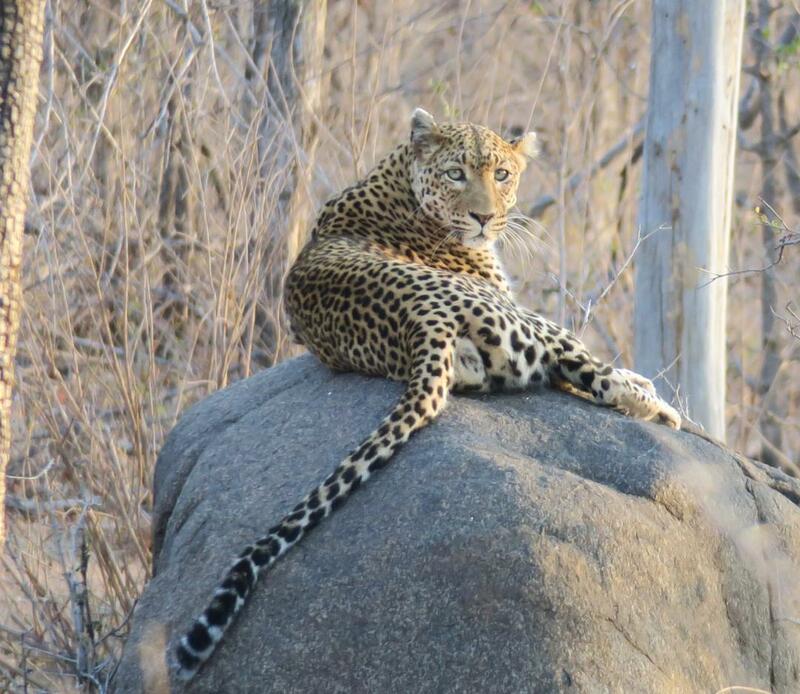 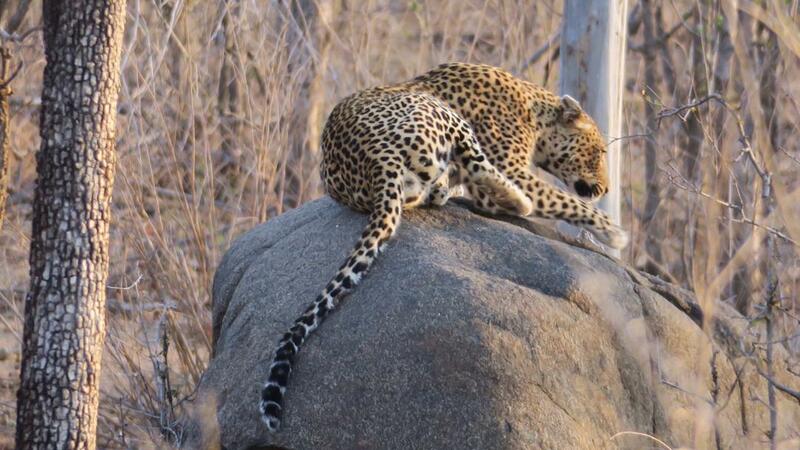 Whilst hunting on Sango several days ago, I had the fortune to spot this beautiful old female leopard, basking in the evening sunlight on top of a boulder. 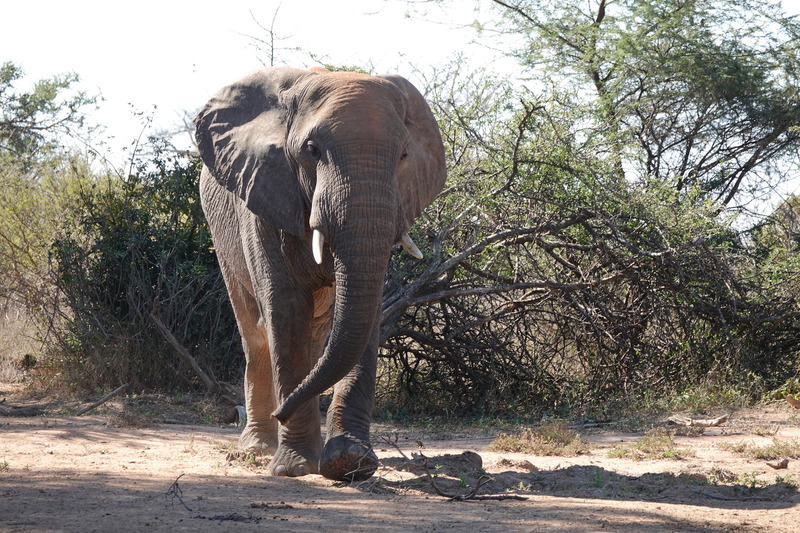 How lucky was I to be able to get my camera out and get some photos before she walked off! 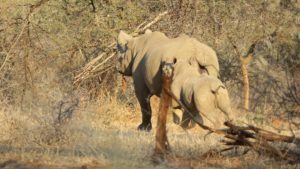 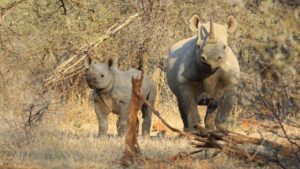 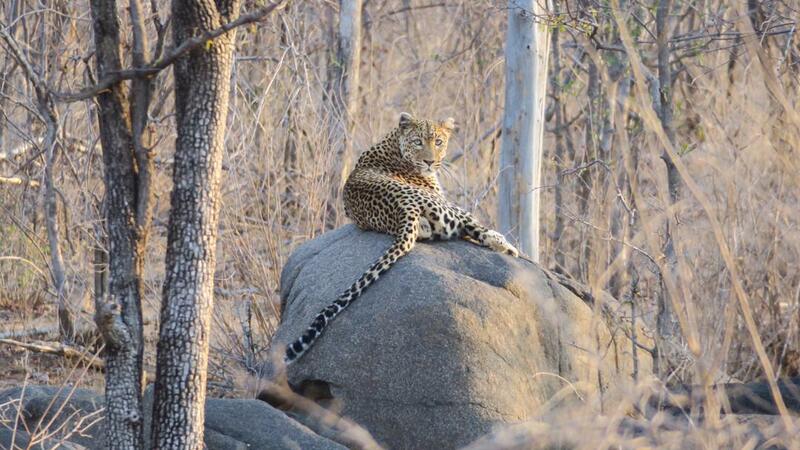 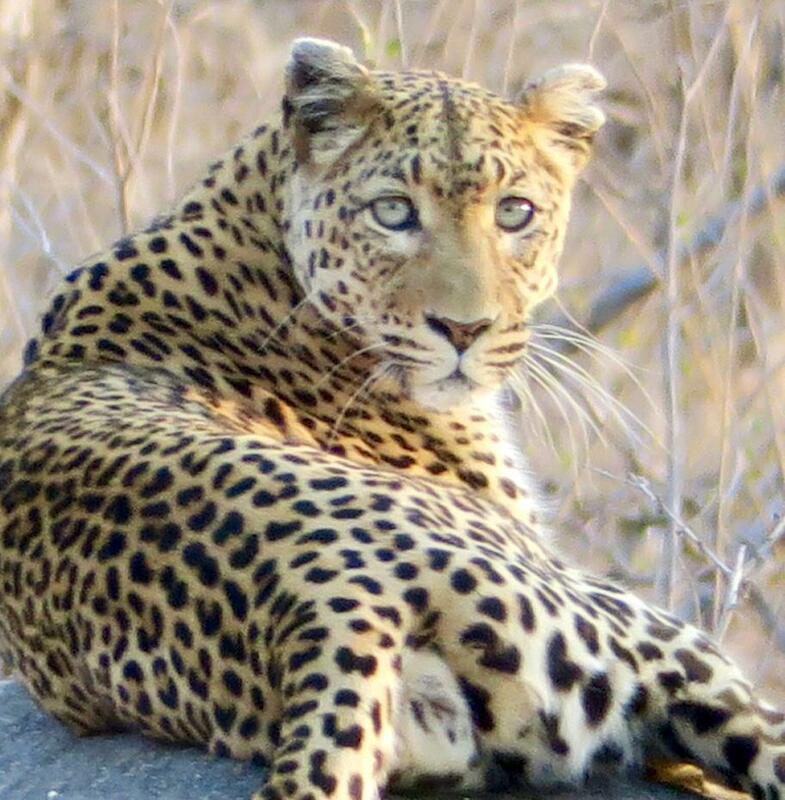 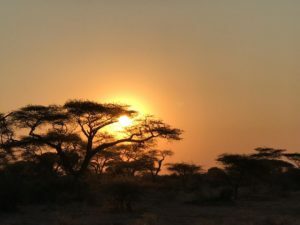 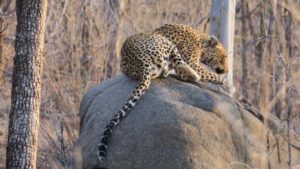 Even though the Save Valley Conservancy is mostly known as a premier hunting destination, some fantastic photographic opportunities can be had, as these leopard and black rhino pictures show. 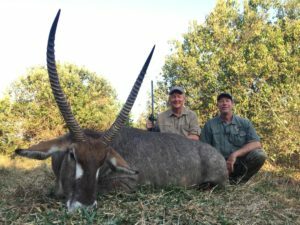 My last hunt on Humani with Mike, Carol, Frank and Crys was for plains game, along with fellow PH Ian Ruthedge sharing the guiding. 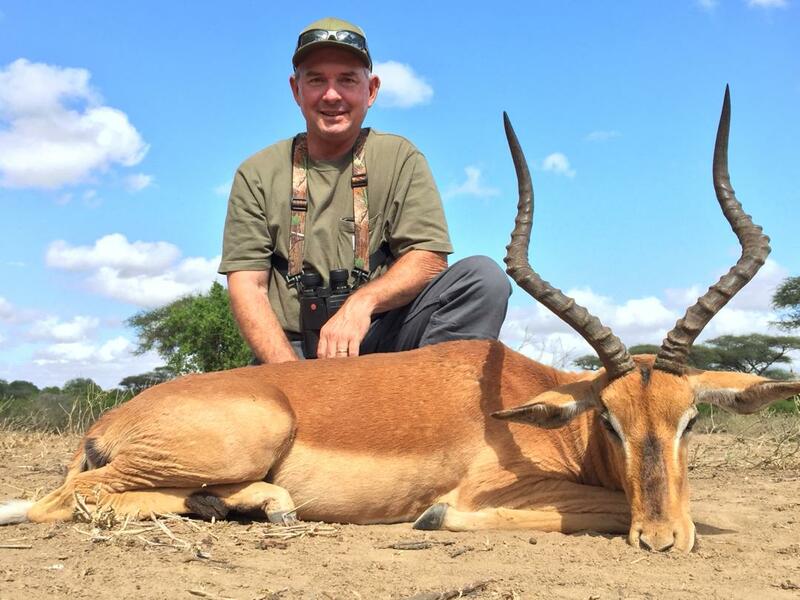 13 days of great hunting with plenty of walking, trials and tribulations, and some exciting trophies!! New friendships formed and many happy memories. 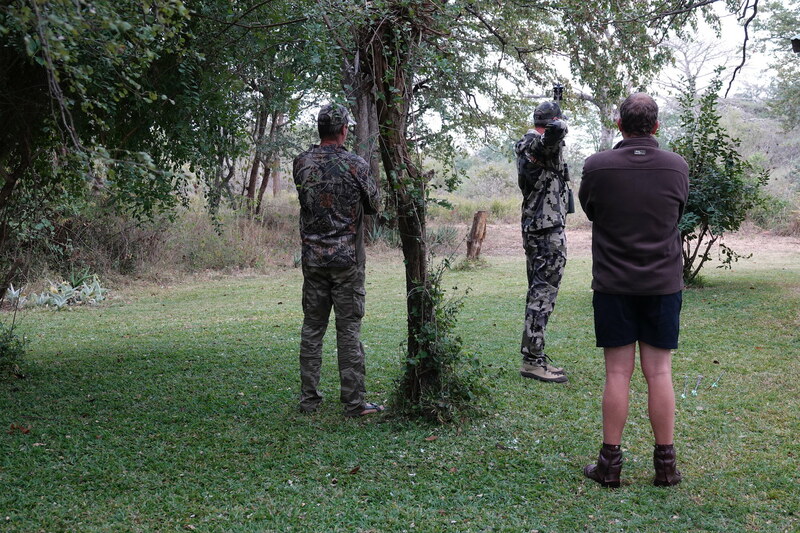 I am looking forward to the next safaris with you, guys. 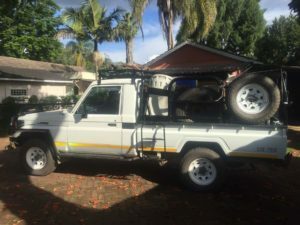 Thank you, one and all, for the support! 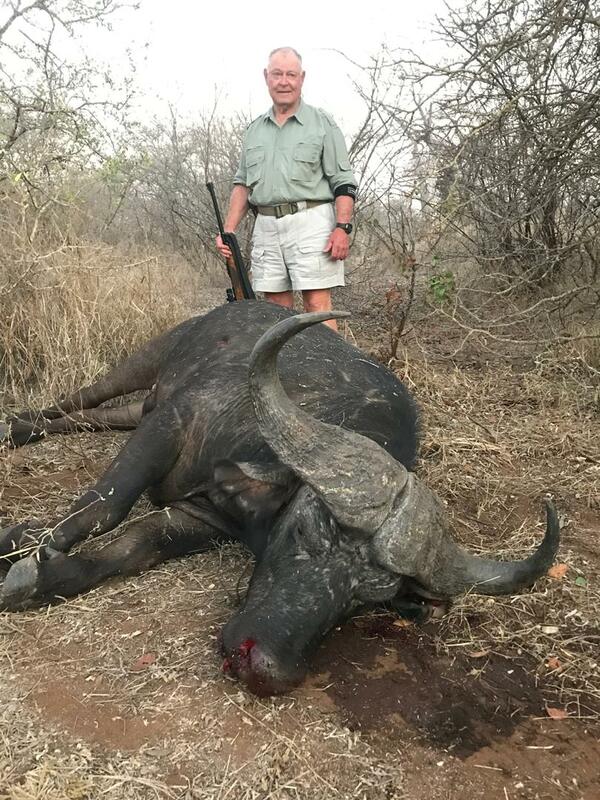 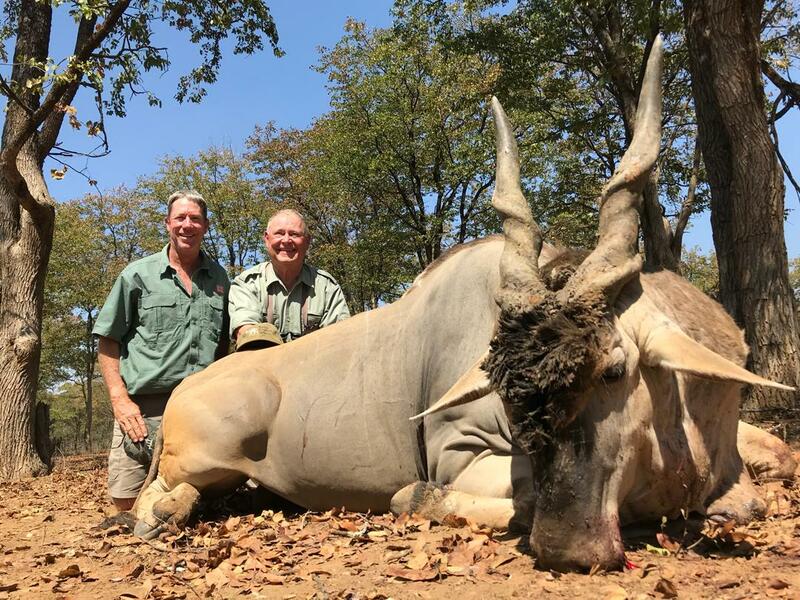 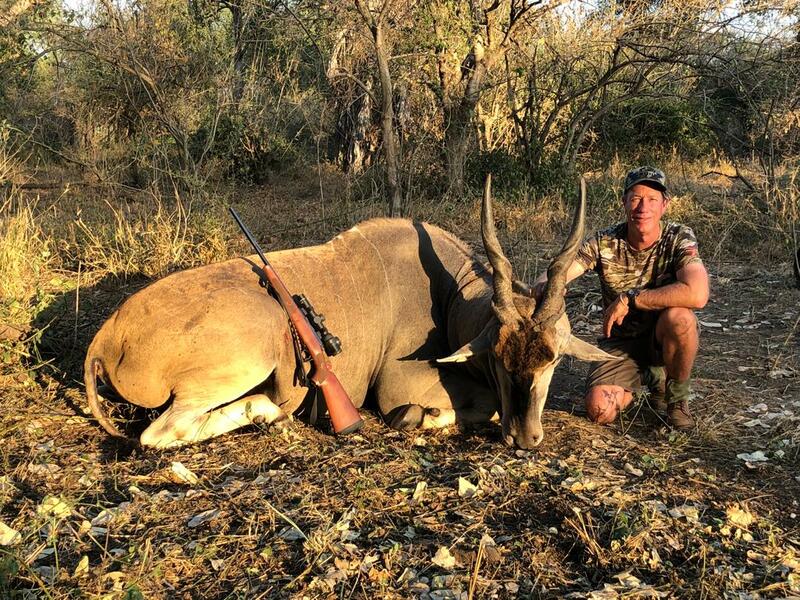 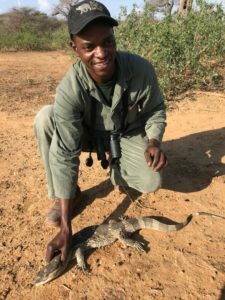 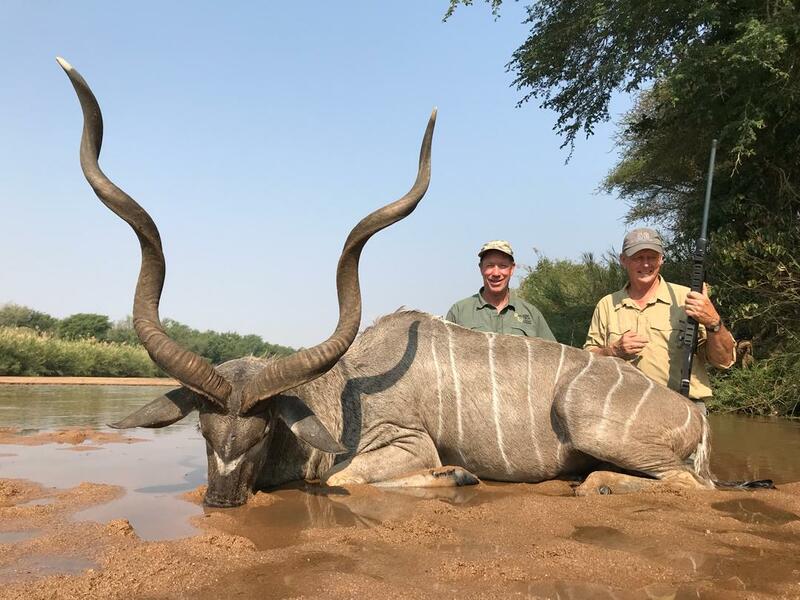 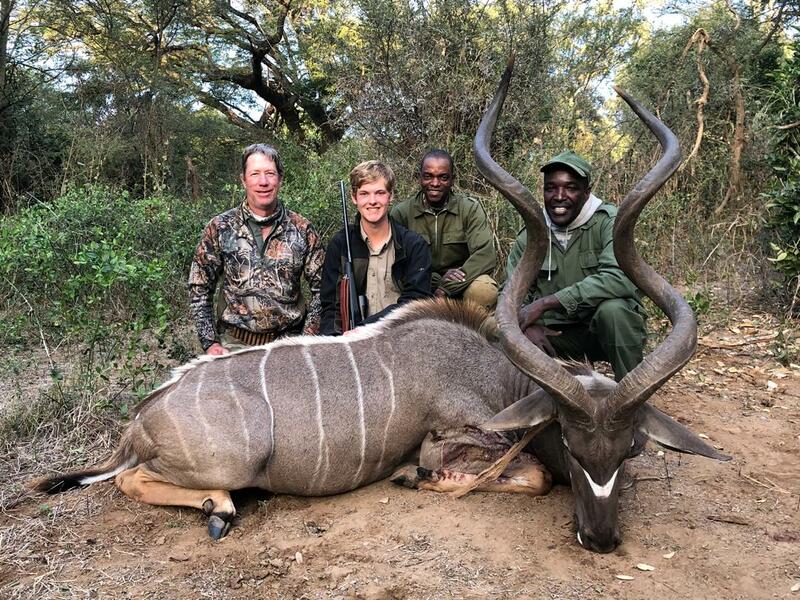 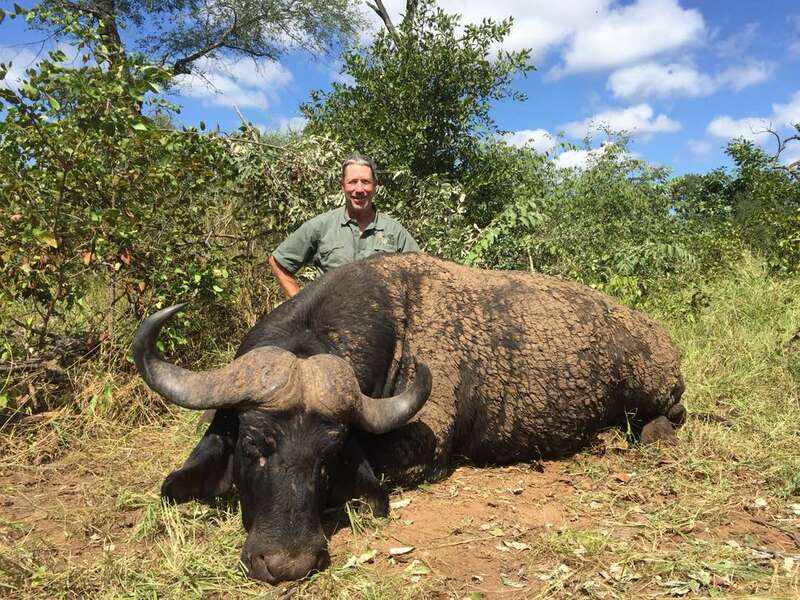 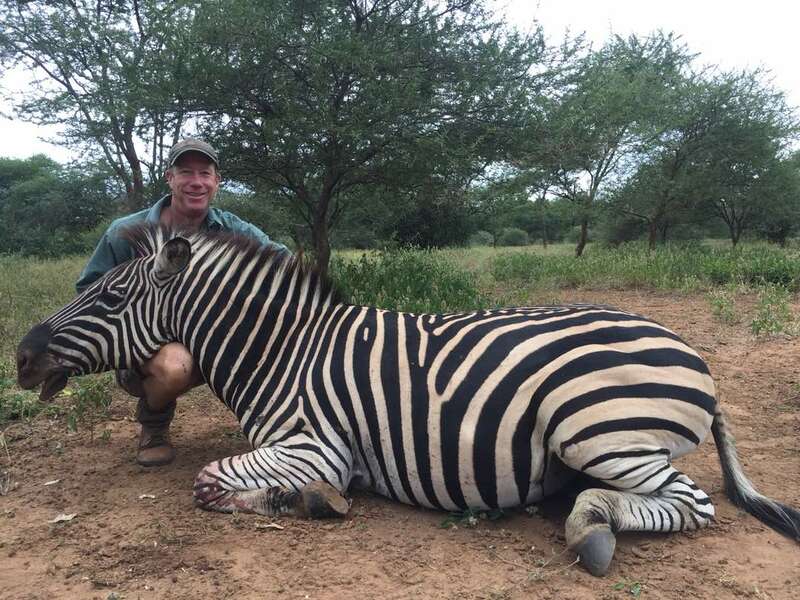 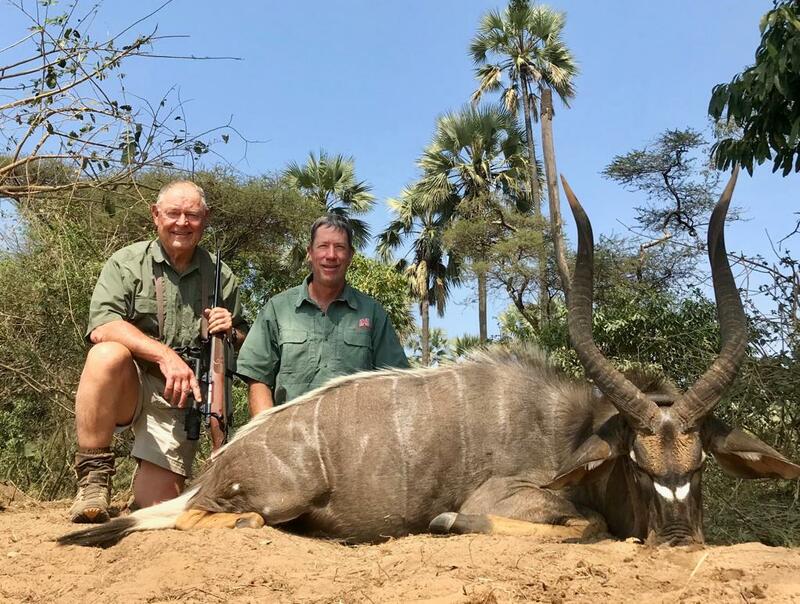 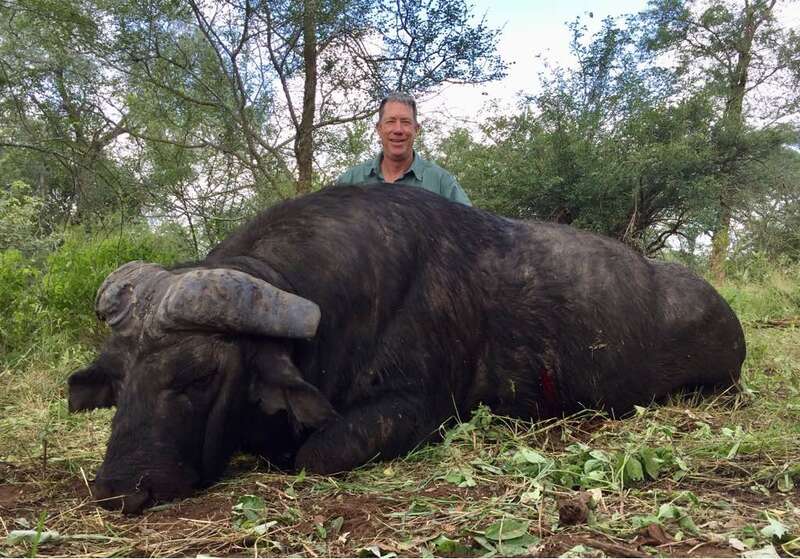 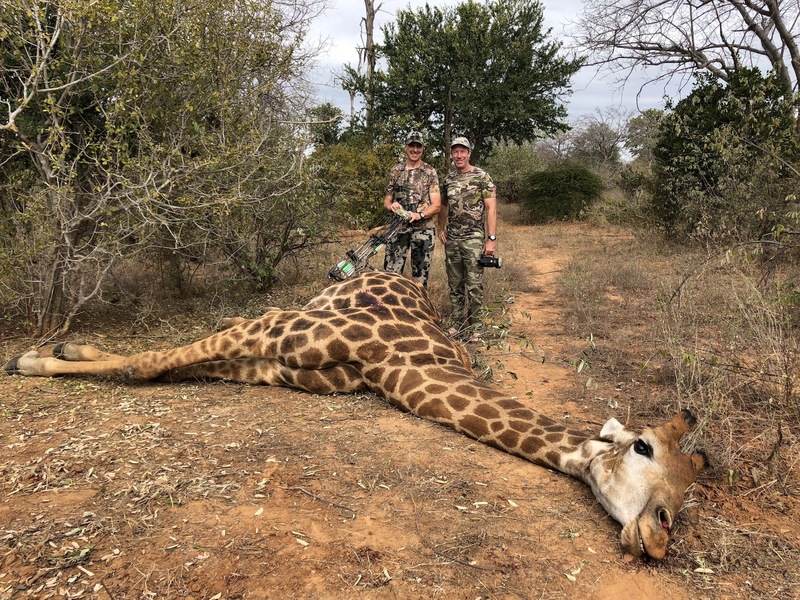 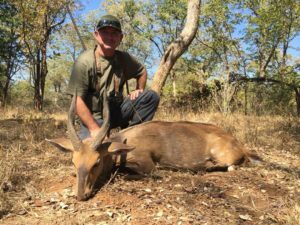 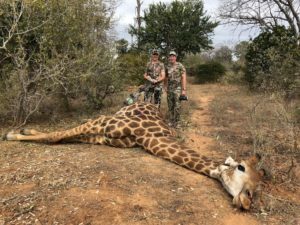 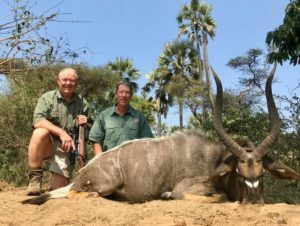 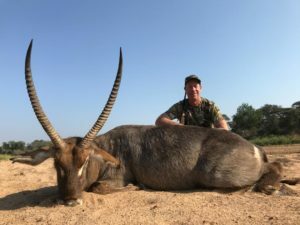 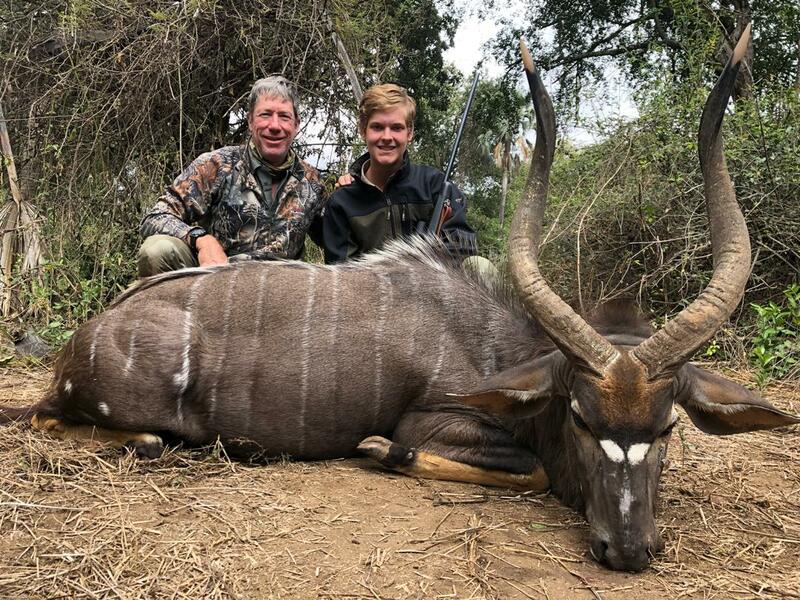 I recently completed a Roger Whittall Safaris hunt on Humani with John K. John is a friend and was on his second safari with me in the Save Valley Conservancy. 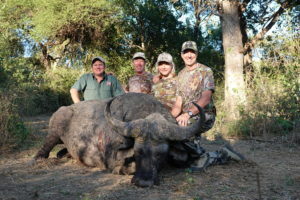 We were hunting for a trophy buffalo bull, tuskless elephant and a few select species of plains game. 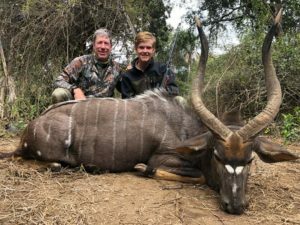 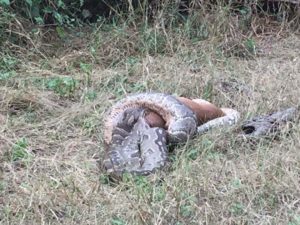 We got lucky with the elephant on day 2 of the hunt and then got a fantastic dagga boy on day 5. 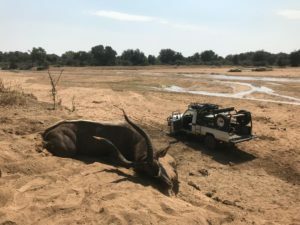 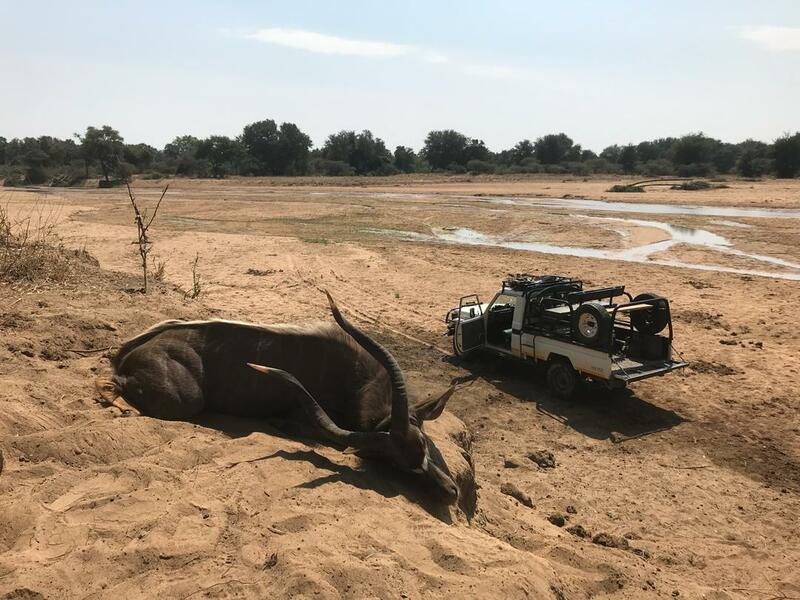 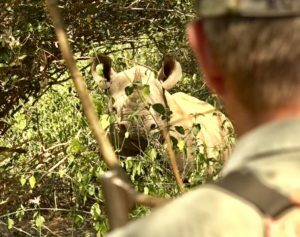 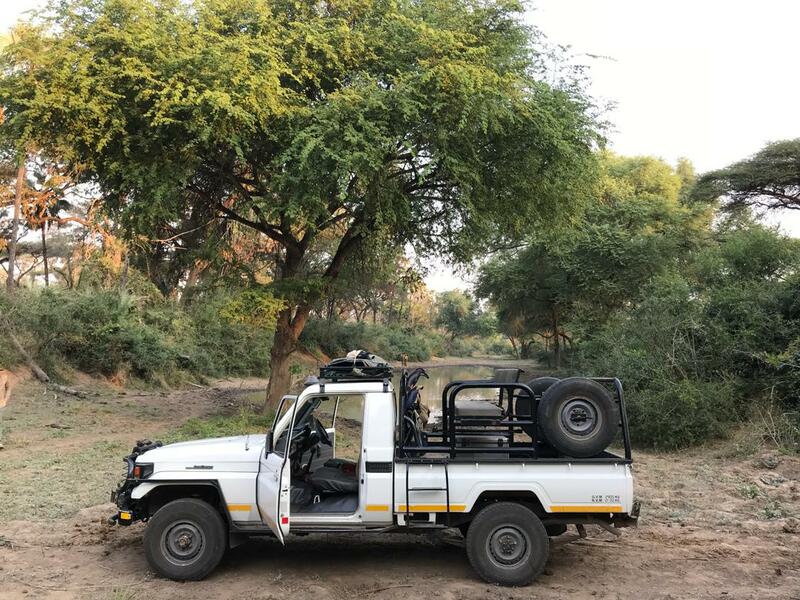 Several days spent trying to connect with a very big kudu kept us busy. 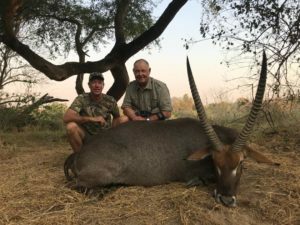 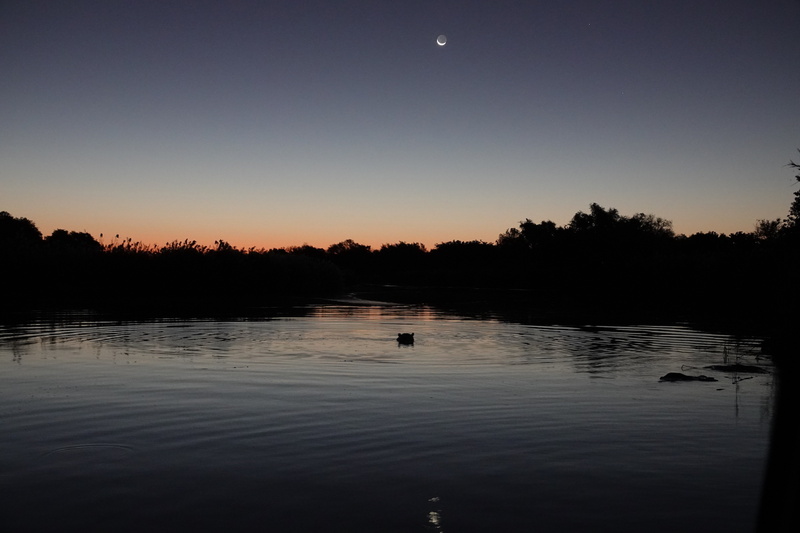 Great hunting, good friends in camp and a wonderful area to explore! 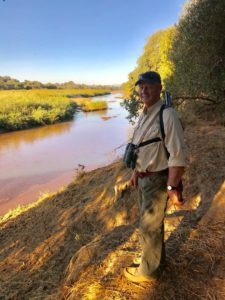 Thank you, John, and I look forward to our next adventure! 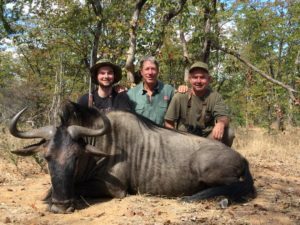 In 2014 I took Herin, who just graduated high school, on a 7-day plains game hunt with her father, Hamp. 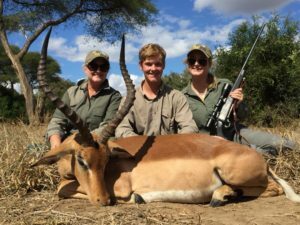 This year it was her brother’s turn. 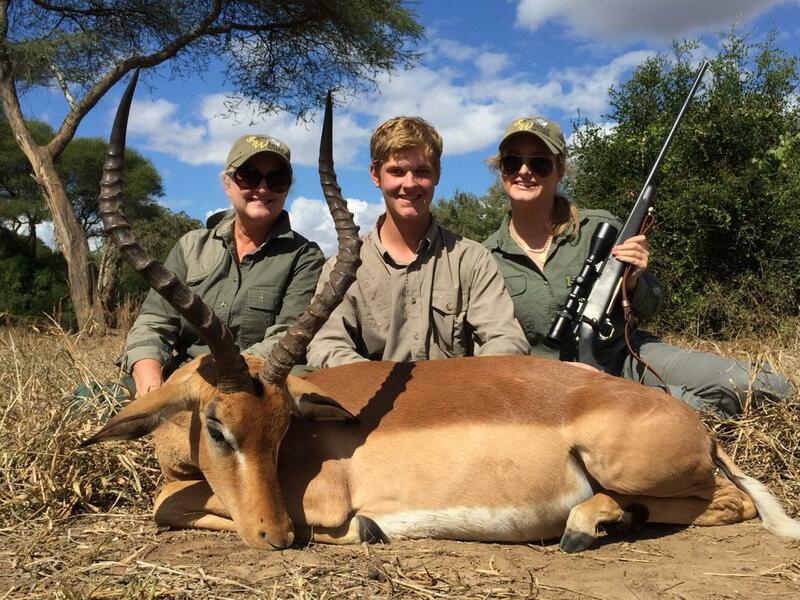 Hampton was accompanied by his mother and sister. 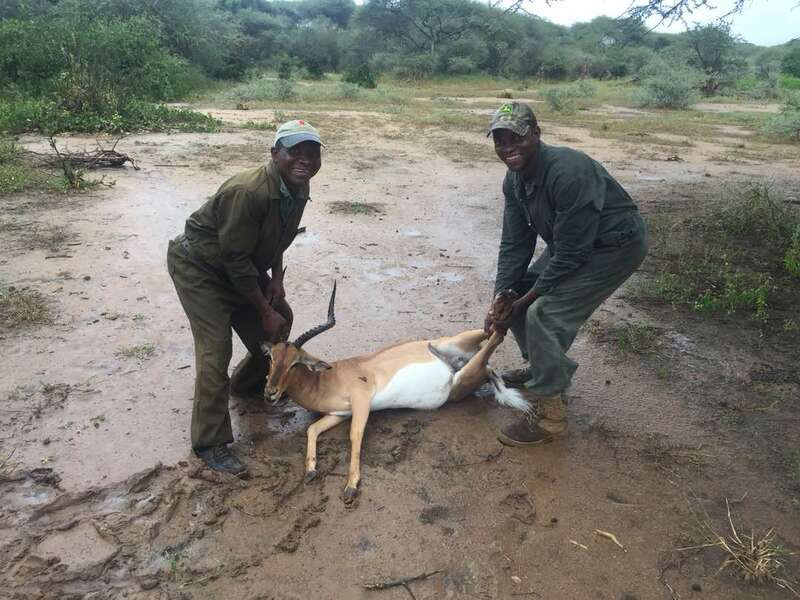 We hunted on Humani for 11 days after plains game. What a great family experience and fun time for all involved. 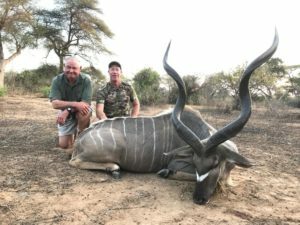 Some fabulous hunting, good shooting and excellent trophy were taken. 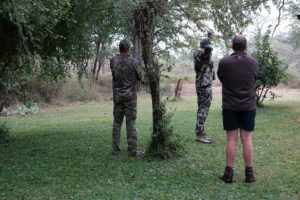 Several days of drizzle, cloud and cold did not dampen this family’s spirit and sense of humor. 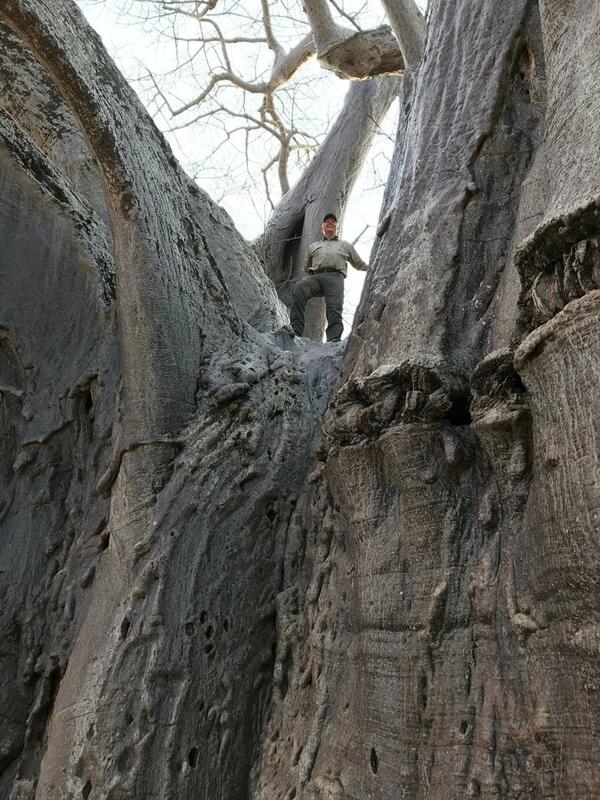 Hamp would be very proud! 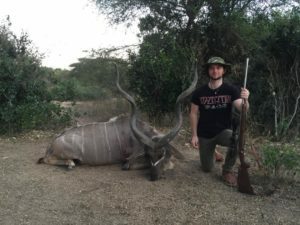 Thank you for hunting with me. 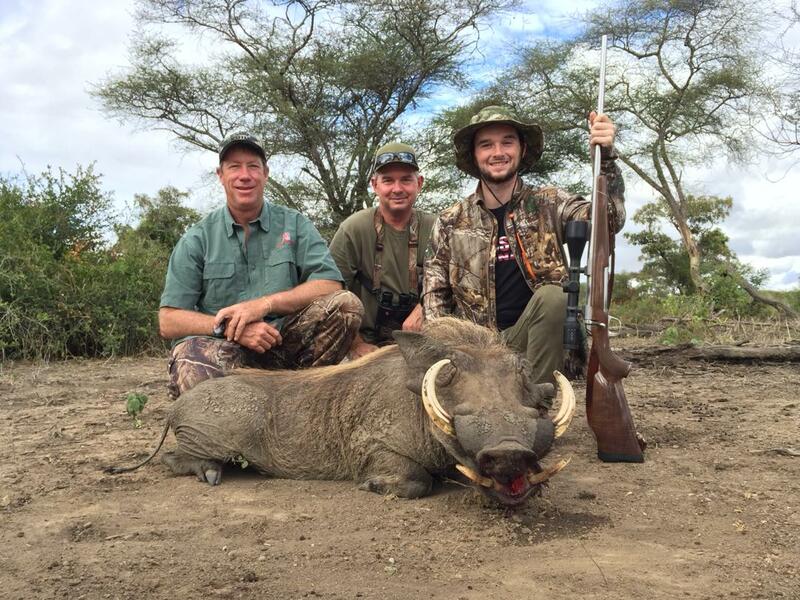 It was a privilege and that hog still awaits both of you! Looking forward to having you all back soon. 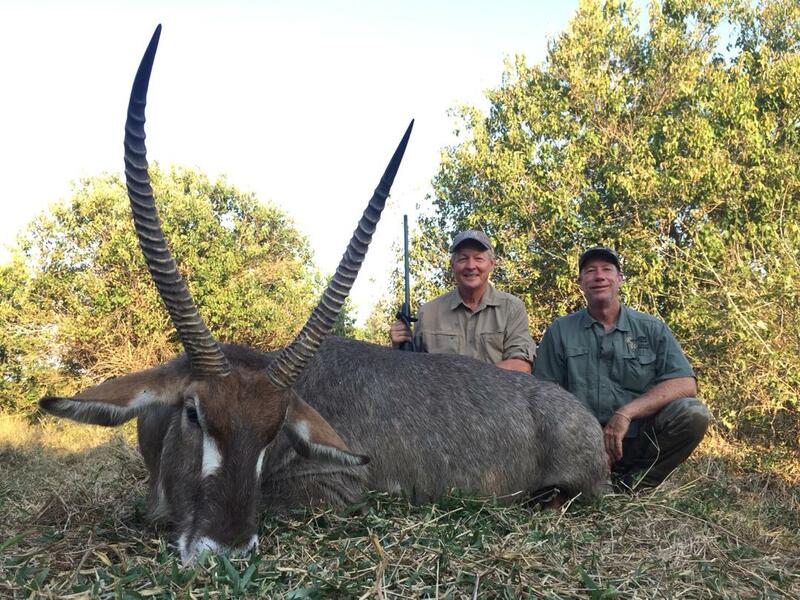 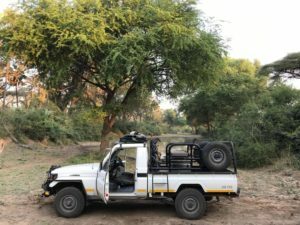 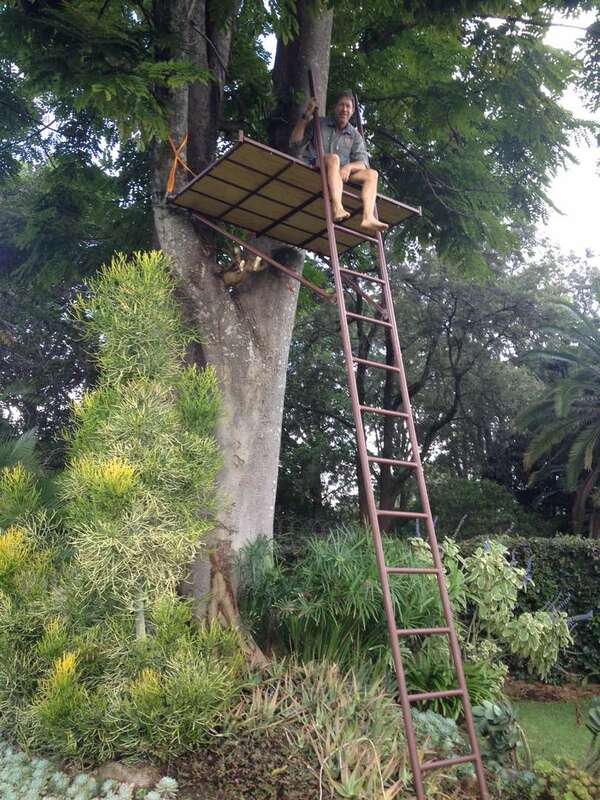 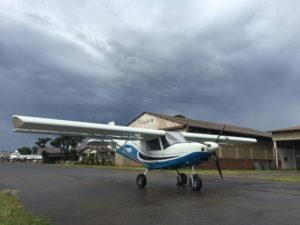 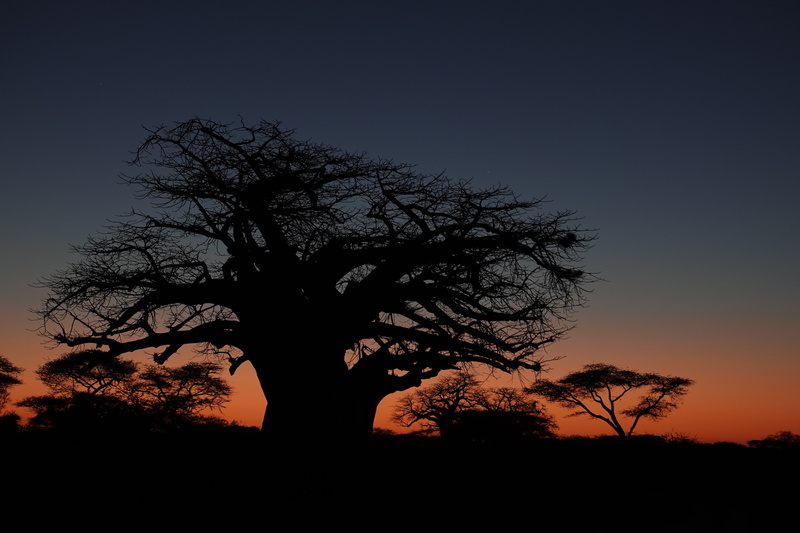 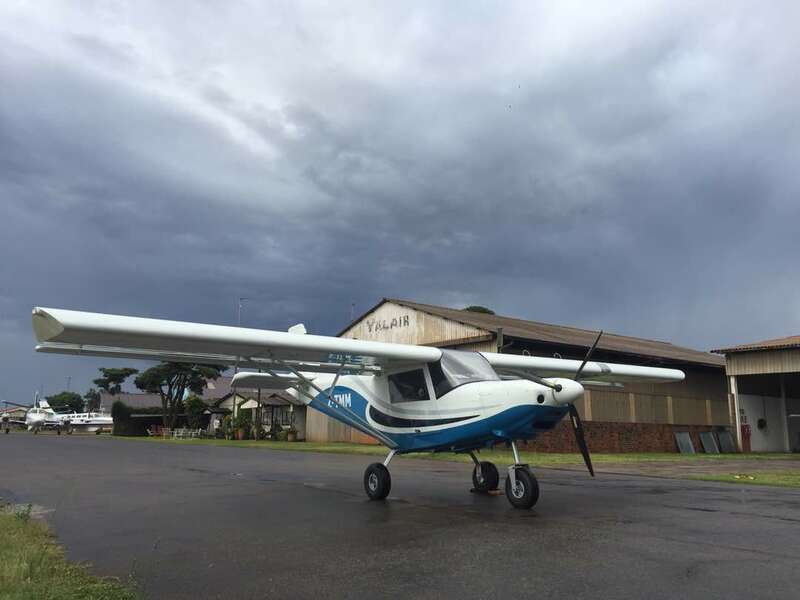 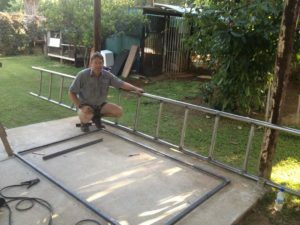 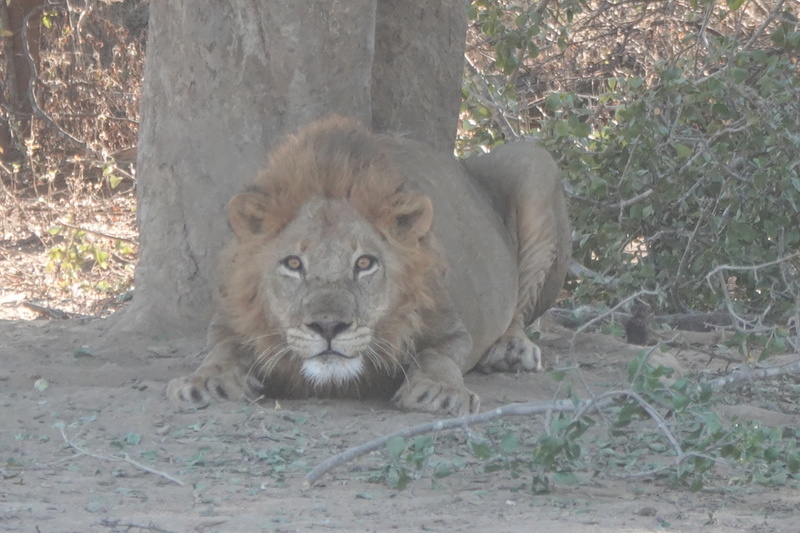 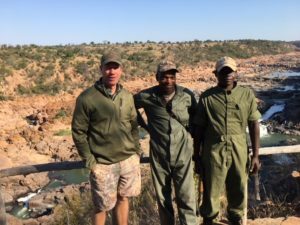 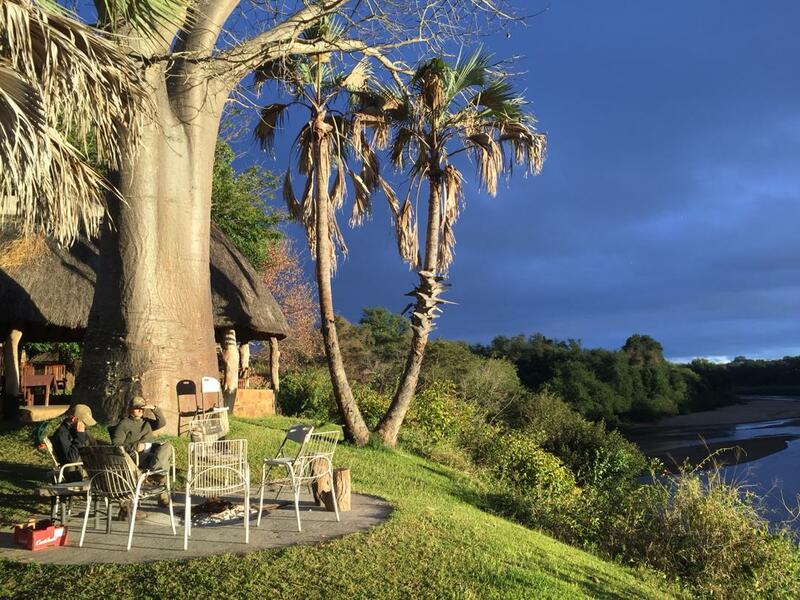 Mike and Danny Kennedy just completed their first-time safari to Humani/Bedford in the SVC, Zimbabwe. 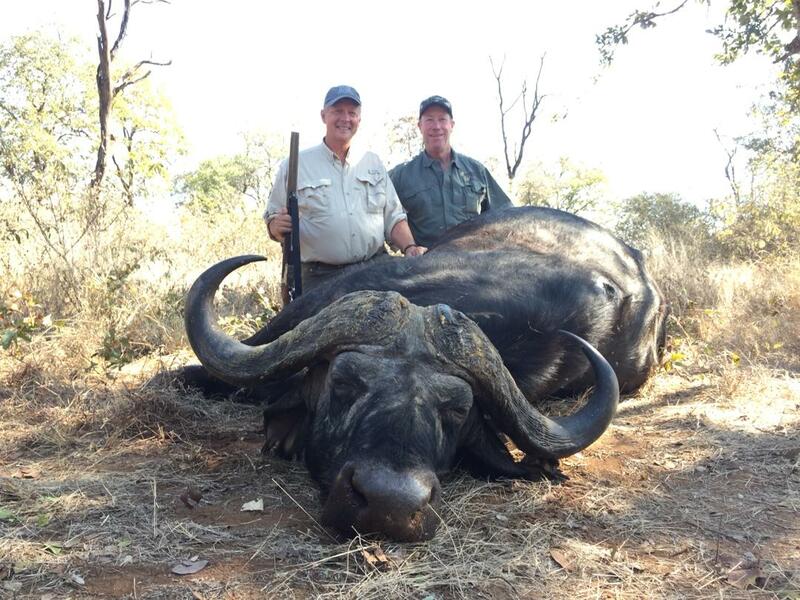 Some tough weather conditions made us all work hard and some wonderful hunting took place. No luck on recovering the buffalo, but I am hoping to get Mike back later in the year to set things straight on that front! 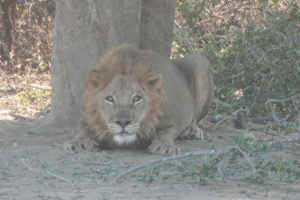 Thank you for hunting hard, trying hard and never giving up. 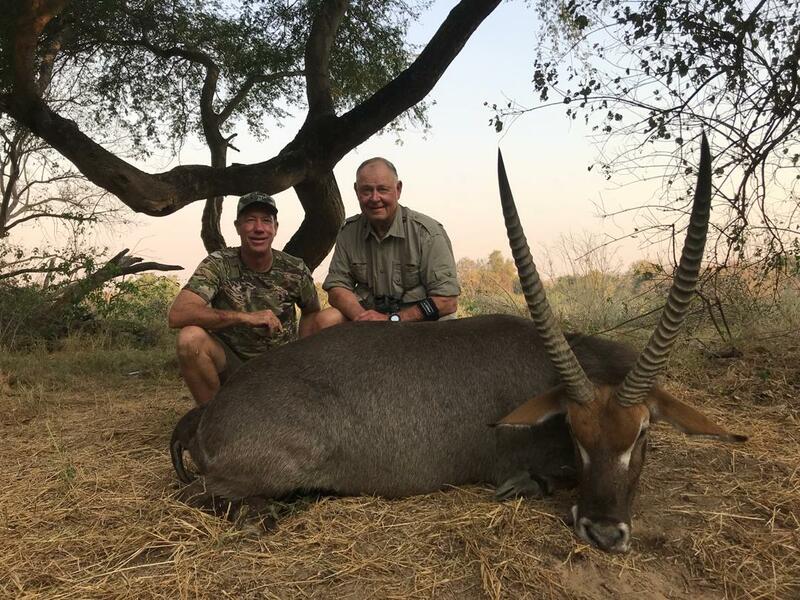 It was a pleasure to hunt with you, Mike and Danny! 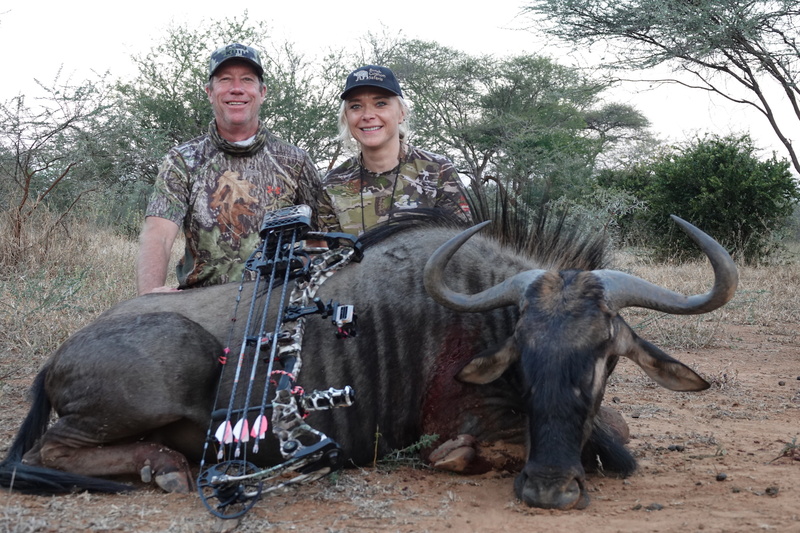 I have just completed an 18-day hunt on Humani with Jeff and Dasha Campagna, my very dear friends and superlative hunters. 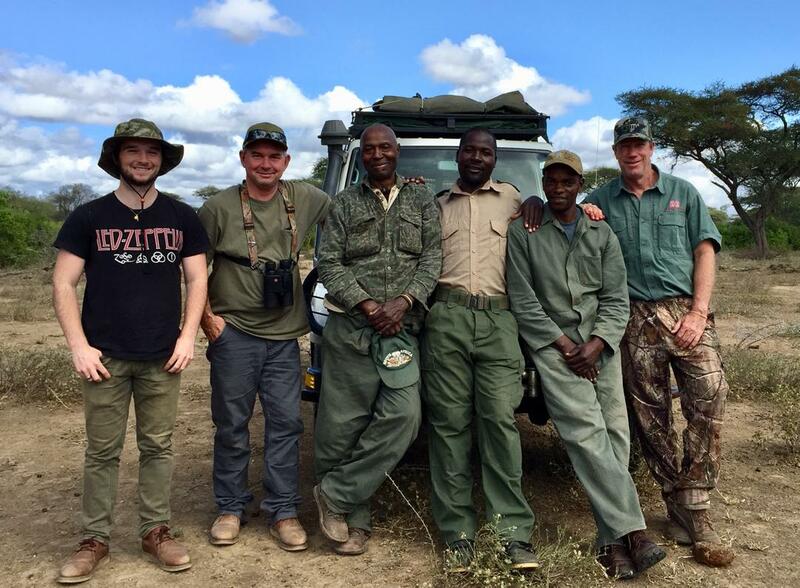 What a privilege to hunt with them again on their 5th safari with me. Hard hunting every day with bows and rifles resulted in some great animals and everlasting memories for all. 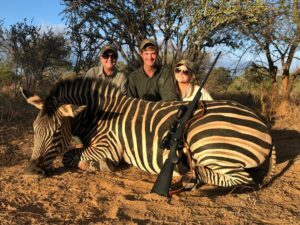 I would like to thank Jeff and Dasha for all they do for hunting and conservation and, most importantly, for their friendship. 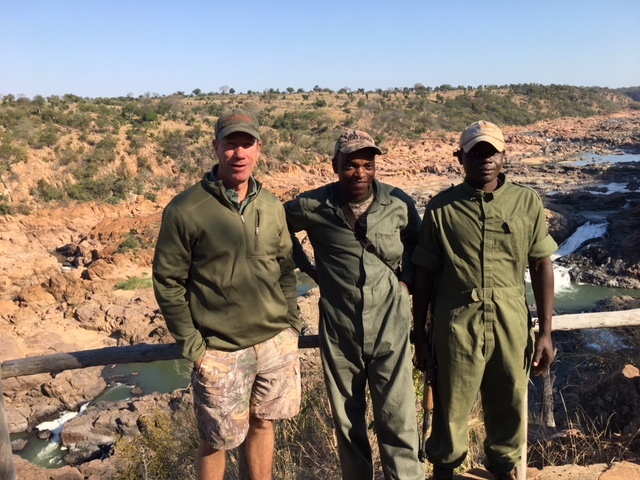 I have just completed my first safari for 2018 with some English friends from way back. We were hunting down in the Save Valley Conservancy on Humani and Arda, for two buffalo and a tuskless elephant. 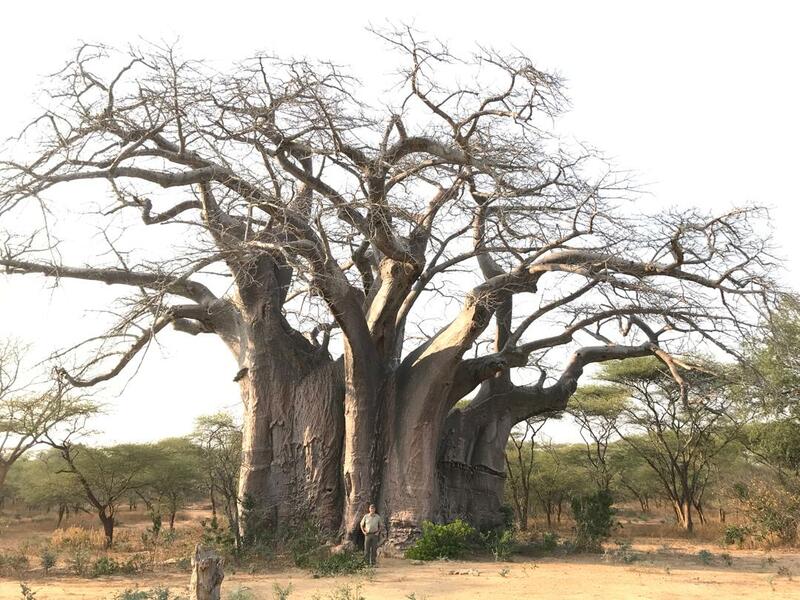 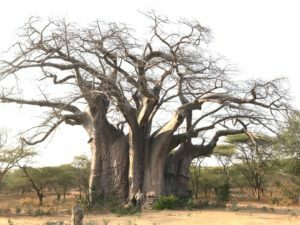 The rains have been good this season and the bush is thick and lush still, making the hunting challenging. 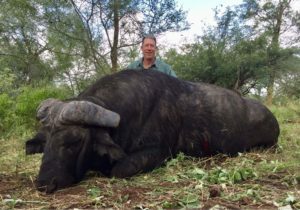 We were, however, successful and took two really fine OLD buffalo bulls! 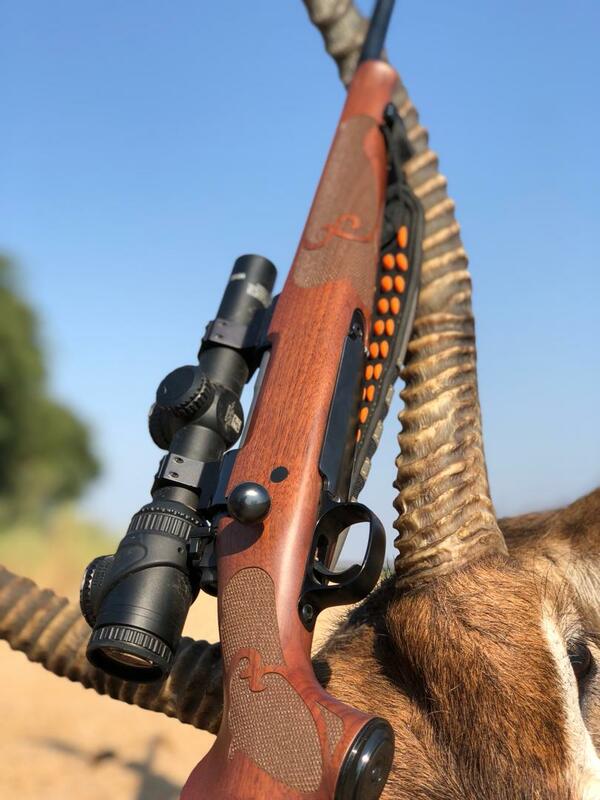 Both one shot kills! 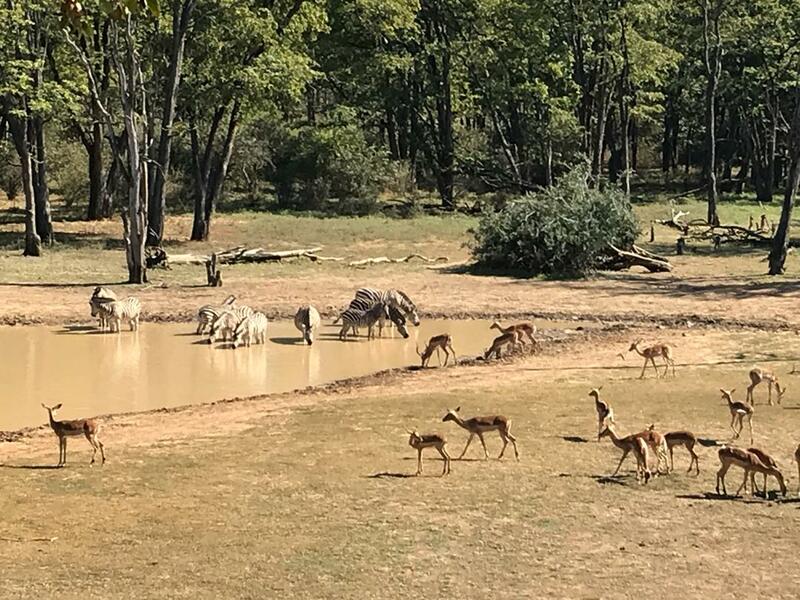 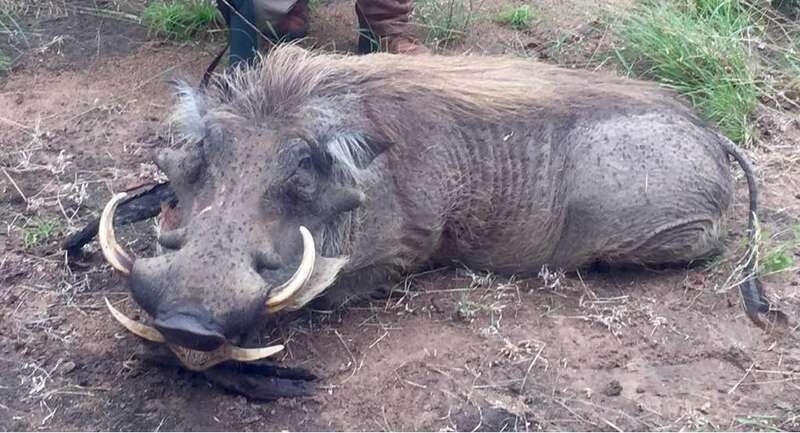 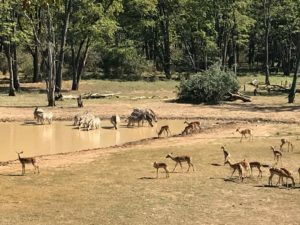 We also got a fine warthog, a waterbuck, a zebra, a wildebeest, a klipspringer and an impala. 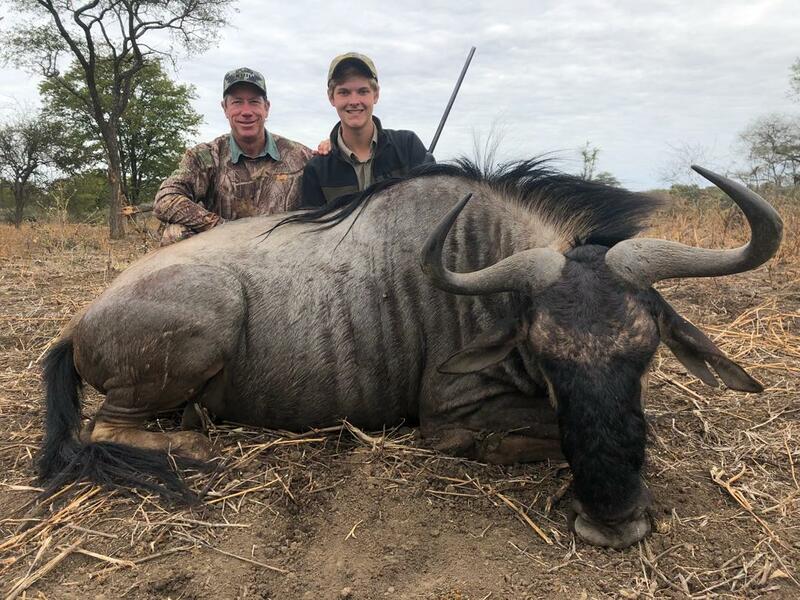 Ian Rutledge was the second PH on the hunt and managed to find a great old tuskless, so everyone got what they had come for. And we are making sure we are ready for it!